Coloring has to be one of the most relaxing and enjoyable activities to participate in. Does your classroom become calm and sweet when your children are doing a coloring activity (even just a little?) Mine does for sure! Even as an adult I love to take time to color. It’s so soothing. 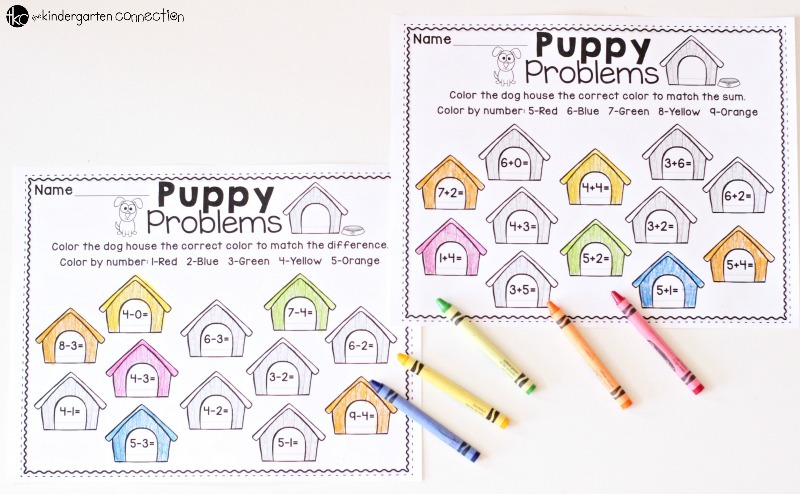 Your students are really going to enjoy these Color by Number Math Printables because they are puppy themed, and you will love that they are working on their math facts while having fun! 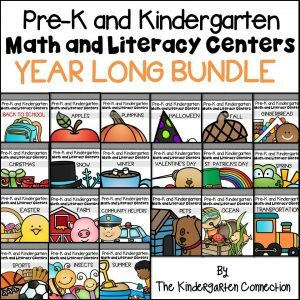 Pair this with our Pets Math and Literacy Centers for even more learning fun! Anytime I can give my children a coloring activity that is also academic is a win for me! 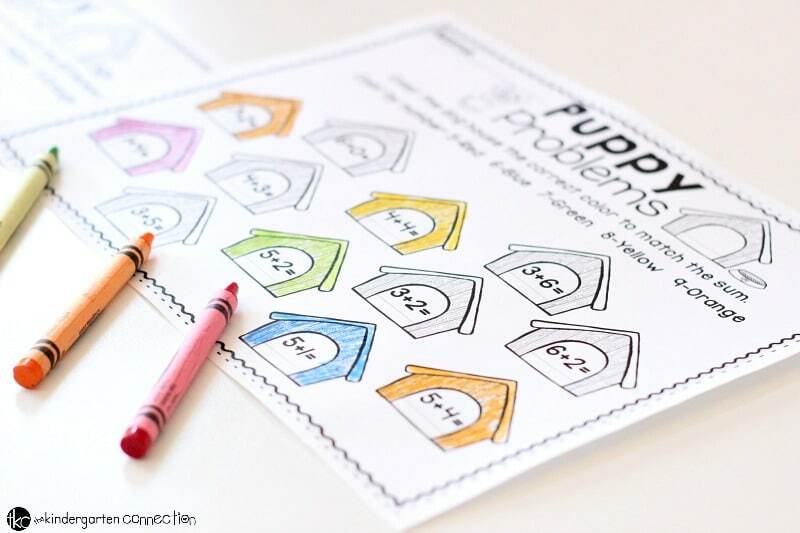 What I like most about these FREE Color by Number Math Printables is they are available in both addition and subtraction. Children get to color while practicing early math skills. 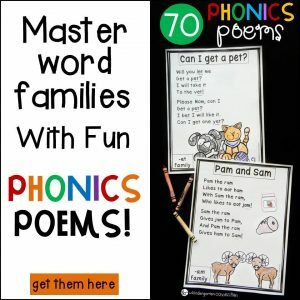 These printables are suitable for Kinder-1st grade, depending on your students. This was a simple activity for my 1st grader who is going into 2nd grade, but was a little difficult for my kindergartner. I like to use this activity in a small group where we can also use counters to help us solve the math equation. I ask my children to use their crayon or colored pencil to write the answer inside of the puppy house before they color it. It’s just my personal preference, but I want them to see it as a full math equation. You might also have children work in pairs so that they can help their partner and also check one another’s work. Brain research tells us that children actually retain more of what they learn from a peer. Partner work is a wonderful option for this activity. 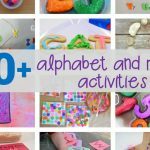 Be sure to give early learners manipulatives so they can build their math equations. 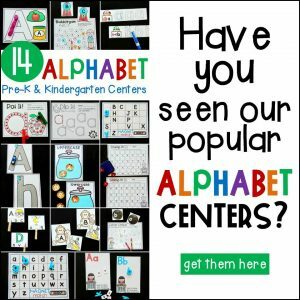 If you choose to place this in a center, you might want to include a copy of the addition printable on one day and then switch it out later in the week for the subtraction printable. Placing both copies in the center at once might be confusing and overwhelming for your students. I would include a variety of markers, colored pencils and crayons. You should also include a number line and math manipulatives to help your students be more independent when solving the math equations. 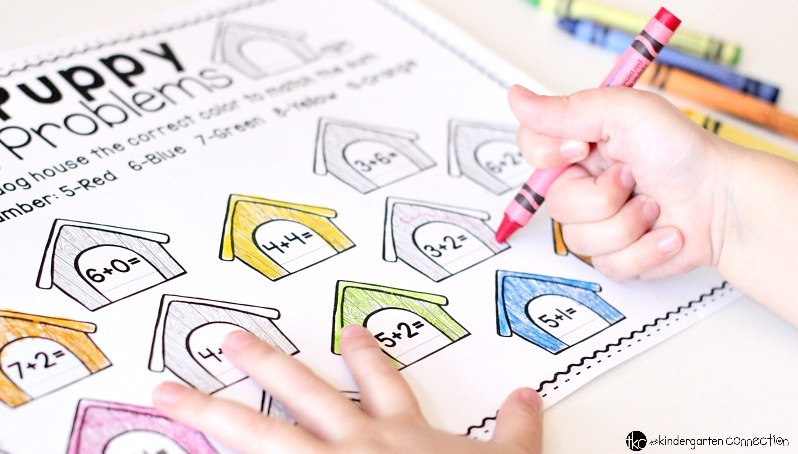 Ready for some addition and subtraction color by code fun? 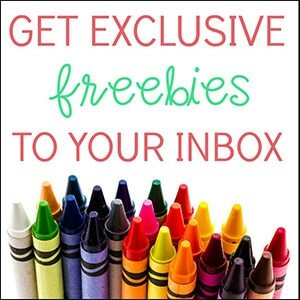 Grab your FREE Color by Number Math Printables by clicking the yellow button below. 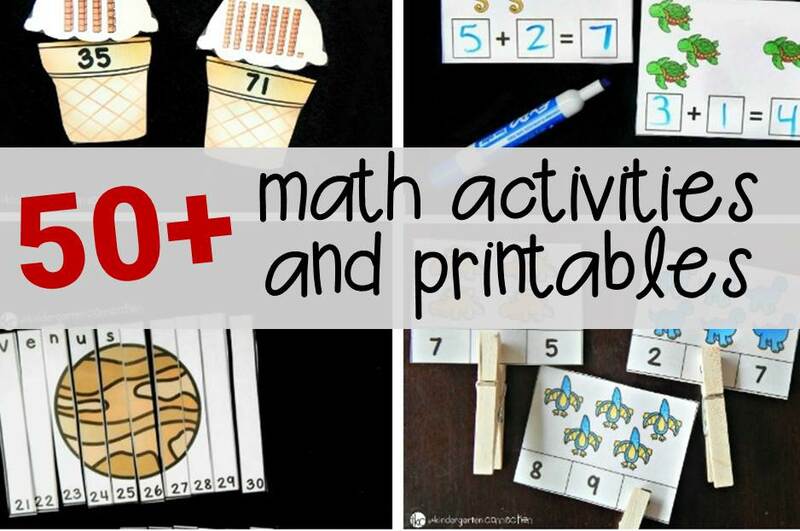 Then, for TONS more math fun that your kids are sure to love, hop over and check out over 50 free math printables and activities! Thank you for ALL the free sheets you provide! I am quick to save and slow to thank. I appreciate the work put into every single page I have saved.